If the first weeks of January are anything to go by, 2018 could be a bumper year for pharma M&A, with Novo Nordisk and Celgene today unveiling multi-billion dollar bids to boost their pipelines. Impact Biomedicines accepted an offer worth up to $7 billion from Celgene, but Belgian biotech Ablynx has rejected Novo Nordisk’s unsolicited $3.1 billion offer. This follows Takeda’s successful $626m offer for stem cell specialist TiGenix last week, which built on an existing partnership in fistulas in Crohn’s disease. Novo announced the offer publicly after Ablynx rejected two approaches last month, although there are no reports of offers from other companies. 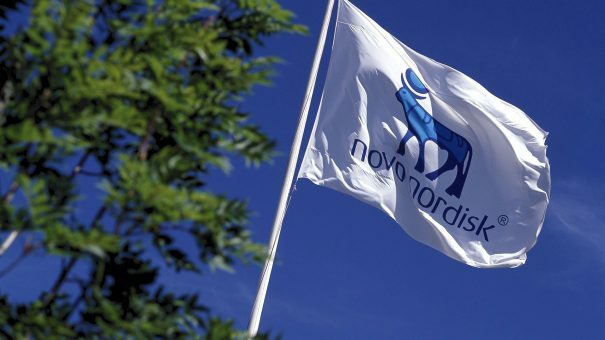 Buying Ablynx makes sense for Novo Nordisk as it has a presence in haematology, with products on offer to treat haemophilia. It is one of several companies that is hoping to use M&A to boost its pipeline – Ablynx is preparing a US filing for caplacizumab, for the rare life-threatening blood clotting disorder acquired thrombotic purpura (aTTP). The filing follows additional data from a late-stage trial announced at the American Society for Hematology conference in December. Caplacizumab is already under review in Europe and Novo also plans to continue with Ablynx R&D into other antibody drugs. This includes its vobarilizumab rheumatoid arthritis drug, which is approaching late stage development after AbbVie decided not to take an option to buy it. Novo said it plans to keep Ablynx as a global antibody centre of excellence, with its research site in Ghent becoming an important part of its R&D organisations. The highly acquisitive Celgene has fared better with its bid for Impact Biomedicines, a privately held company based in San Diego which specialises in myeloproliferative neoplasms and cancer. The deal features an upfront payment of $1.1 billion, plus $1.25 billion dependent on successful regulatory approvals of its blood cancer drug fedratinib. Shareholders could receive up to $4.5 billion in sales-based payments if the drug makes it to market. Celgene is gambling that fedratinib, in phase 3 development for myelofibrosis and with potential in other blood cancers, will overcome safety concerns that saw clinical trials halted under previous owners Sanofi. Impact bought the drug from Sanofi, which in 2013 opted to end development of the JAK2 inhibitor class drug because of cases of Wernicke’s encephalopathy in trials – lesions in the central nervous system caused by exhaustion of vitamin B reserves. Acquisition by Celgene, the world’s leading manufacturer of blood cancer drugs, represents a significant success story for the California biotech. CEO Dr John Hood has drummed up millions of dollars in investment in order to convince the FDA to allow trials to restart in August 2017. Silicon Valley Bank published its market forecast last week, predicting 20 or more ‘big exits’ during 2018 for biotech backers selling up to pharma.